Two disclaimers first: I personally adore every person who worked on this show, and I don’t write reviews. So why should you even keep reading? Well, that’s a good question; I can’t answer that. 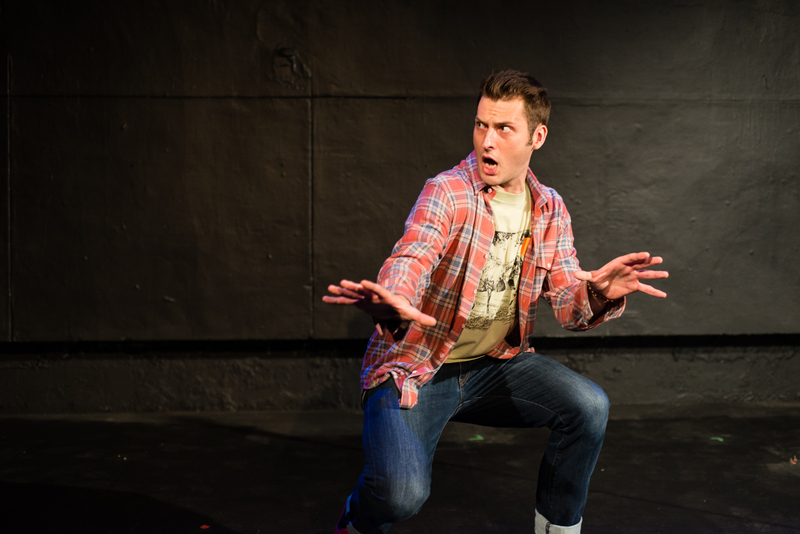 But why should you have seen The Understudy at The Secret Theatre this past May? Those answers I got. This team of artistic comrades poured themselves entirely through this play. Not into it. They passed through. Theresa Rebeck wrote this funny, accurate, heartbreaking, soulful, discouraging, uplifting piece of theatre. She distilled this daily battle we call “trying to be an actor” and crafted a living organism for the stage. Now, it could have been very easy to stage the simple ideas, the easy laughs, and the common sense relationships in a piece that’s already full. They could have capped off her words nicely with a kind performance. A polite, engaging, sincere performance. Or they could meet it with their own fullness. And that’s what they did. Actors Becca Schneider, Brian Byus, and Craig Hanson met the play with both sophisticated containment and fantastical carbonation. They took a painfully accurate portrayal of modern show business and allowed the structure of Rebeck’s words to be their edges. Their borders. Their landmarks. But then they lived. They allowed the truthiness of her words to inflict them. They opened their real world wounds and let the pretend world seep so deep. Now listen, I know I’m biased. I told you earlier – I love everyone involved, and I don’t write reviews (I leave that to the pros). But I know what it’s like to be transformed from sitting in a dark room and watching people tell a story. From every angle – direction, design, crew, and company – everyone’s hearts were wrapped up in these words. Does loving the work that much always make good theatre? Not a chance. But when you pair that love with indisputably smart artists, you watch a transformation. They passed through the play, letting it marinate in their bones. They stepped into and out of Rebeck’s words, letting us get close enough to the play’s damage and relief so we felt like we were right next to them the whole time. They loved through the play, and so for a little under two hours, we too felt a whole lot of love. I don’t know much about much, but this I know – The Understudy at The Secret Theatre told a story worth telling in a way worth telling it. This isn’t going to be so much a review as it is a chance for me to brag about my friend, Courtney Romano, who made her Off-Broadway debut last month in a play called Philosophy for Gangsters at the Beckett Theatre at Theatre Row. I went to go see the show a second time last week. Courtney starred as Callie, a mafia princess and college graduate who leads a philosophical revolution with the help of her mob family and a kidnapped philosophy teacher from New Jersey University. Now, the play leaves much to be desired. While a funny concept with some genuinely entertaining moments, it is very much a film script trying to be a stage play. There are so many quick “cut-to’s,” and sometimes it feels like we spend more time in scene transitions than scenes (which keeps the momentum from building). Just when a couple of characters are really starting to get to the meat and potatoes, there’s a blackout. Some scenes only last a few sentences, and then there’s a transition to jump a few minutes in time. The creators need to take advantage of the fact that we’re in the theatre. They can use stage tricks and/or set up theatrical conventions for the time jumps or even work around them entirely. But whenever the play started to dip or wander, Courtney was there, solid, with her feet on the ground, serving as the North Star for the production. She set the example for keeping the pace and sticking to the objective at hand. 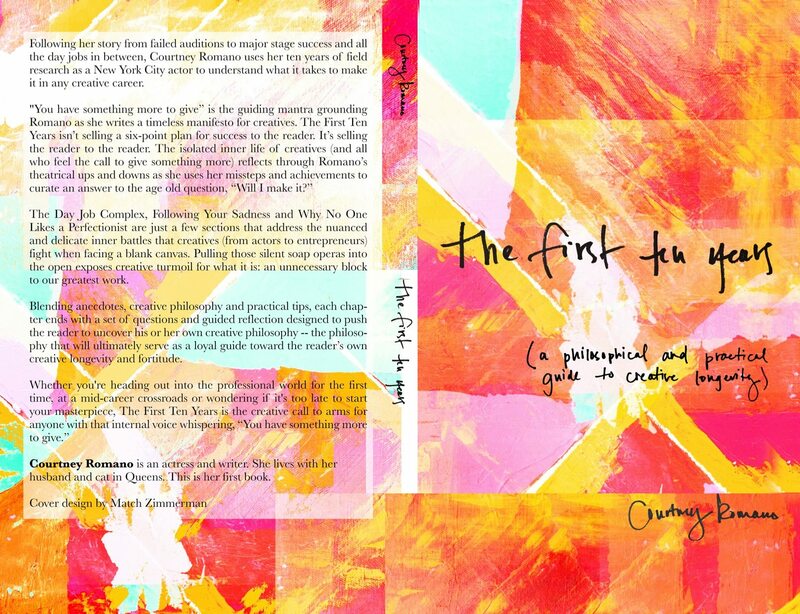 If the plot started to wane, I knew I could look to Courtney who would be on track. And on top of all that? She was still playing. She was still having fun and diving deeper into the role. I had attended opening night on February 4th, and it was great to see how much she’d developed the character over a few short weeks. So even though the show closed on Saturday and I can’t tell you go to see it, I can tell you to keep your eyes peeled for my pal in the future.